This is a great looking button. 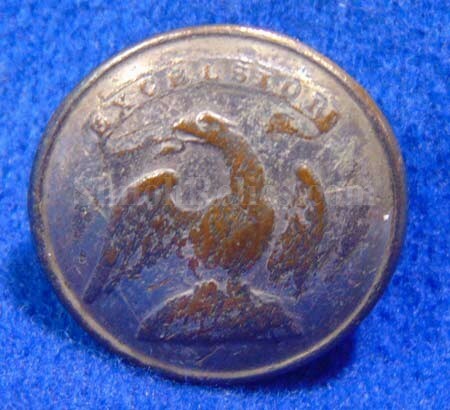 This is the 1-piece low convex New York militia style uniform button. This is the pattern that is listed as figure NY12 in Albert’s button book and as NY110a2 in Tice’s button book, both of which we sell. It has the beautiful New York style eagle on the face perched on the globe. Coming from the eagle’s beak is the ribbon with the "EXCELSIOR” motto inside. 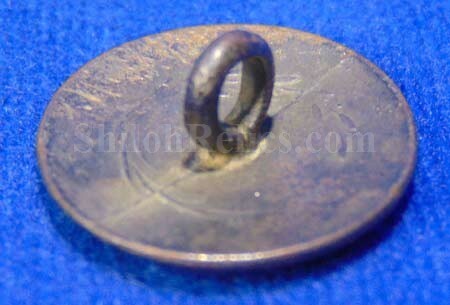 This button is made of copper and still retains about 95% of the original silver wash. The silver has darkened to a beautiful dark gray color on the face of the button. It is a gorgeous button. 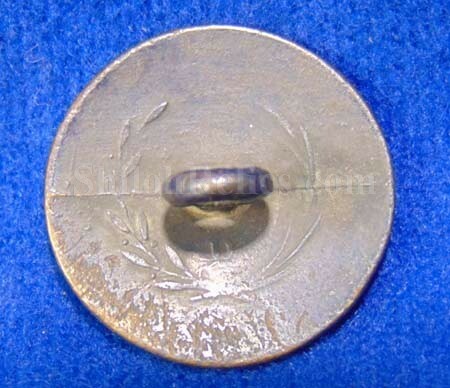 On the back of the button it has the original applied shank intact. You can still read the backmark of "D" with a wreath on the reverse of the button. This is a wonderful looking silver New York uniform button.